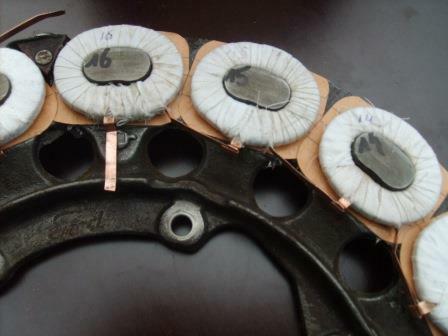 Model T Ford Forum: Magneto coils repair? 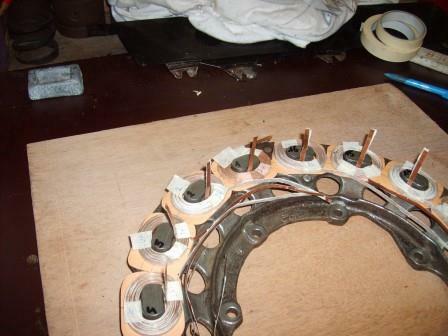 Model T Ford Forum: Forum 2014: Magneto coils repair? 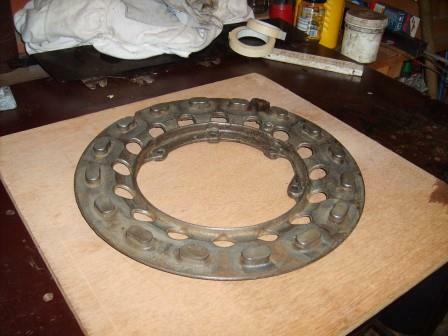 We have the magneto coils off of the flywheel on a 1918 T we are rebuilding the motor. 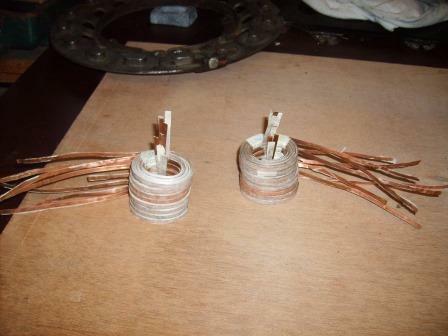 Two coils look like they sat in water, bare wire showing. Can you coat those with a sealant or replace them? As always you guys are great and thank you! Get a big pizza box and send it to R.V.Anderson or Wally and have it rewound.It is the best money you'll spend on rebuilding your mag.Addresses are on supplier links. 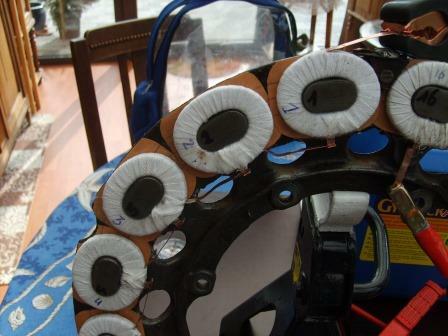 As Jack has stated it is well worth the money to have your field coil rebuilt. It would be very frustrating to go through all the trouble of putting your engine back together only to find that your mag does not work or that it stops working shortly after you get it going. Wally Did mine and like new tires and new wheels, a rebuilt coil is not an expense it's an investment in peace of mind. You are right. No starter or generator on the 1918. No magneto and you are dead in the water (or middle of the street). thanks! 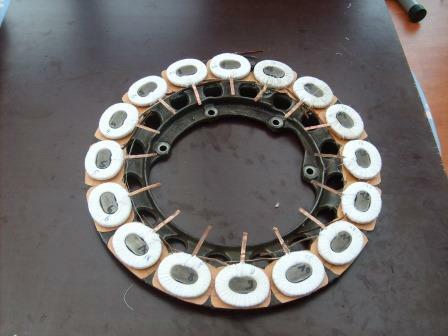 The best money you can spend on a non starter T is to buy a rewound coil form one of the above mentioned. I have 3 of Wallys in my 3 starter T's. Like others have stated to drive a T and enjoy it you need a good radiator,tires and wheels. 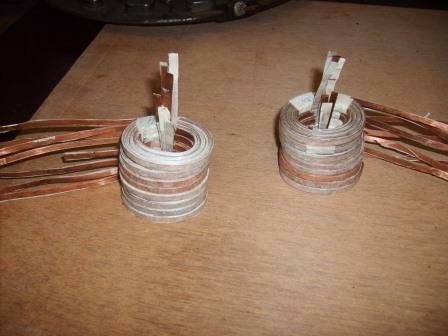 Last but not least is a rebuilt field coil. Its a sure necessity. Thanks Mike! I do appreciate it. If you don't want to spend the $200.- plus for a rebuild you can do it your self. A really neat job Andrea! Wish I had the patience to do it. When I first got interested in T's years ago I bought the Model T restoration handbook by Leslie Henry. 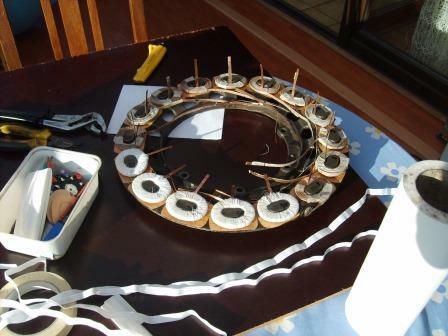 There was a article about rewinding a mag coil. It was pretty interesting and informative. It can be done but just takes time and a little patience. 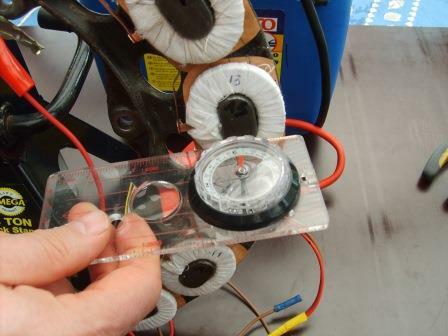 The MTFCA Electrical System book tells you how. 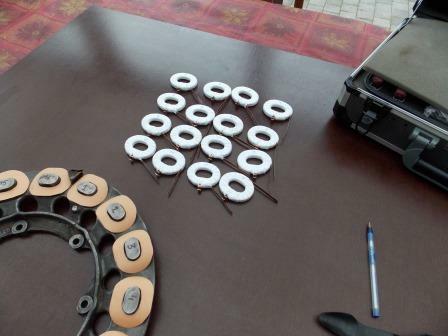 I completely appreciate that you rebuilt your own magneto coil ring and, by all appearances did a great job. When you consider the $200 price you mentioned however, for RV or Wally to do it, one has to wonder if $12.50 per individual coil is really too much to pay for all the time & work it takes. I realize different people will have different answers. I also know it's not always about dollars but sometimes about accomplishing a task yourself. 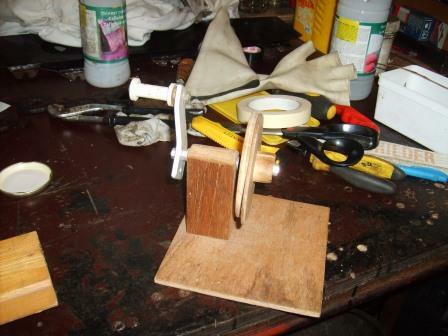 Andre, Did U varnish your ring or take it to a motor re-winder and have it baked? 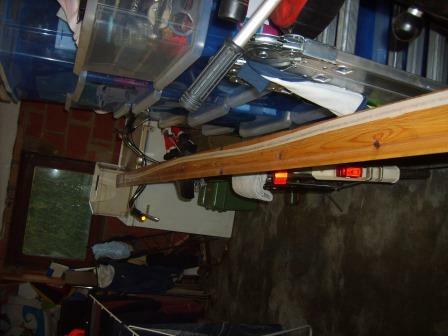 I also used that rubberized stuff you put on pier handles on one. 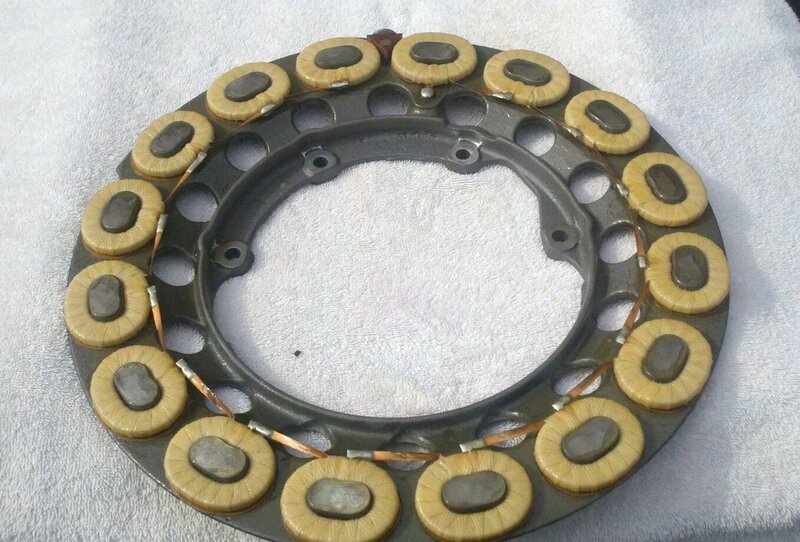 I have a friend in the motor rewinding business and I have him bake it. 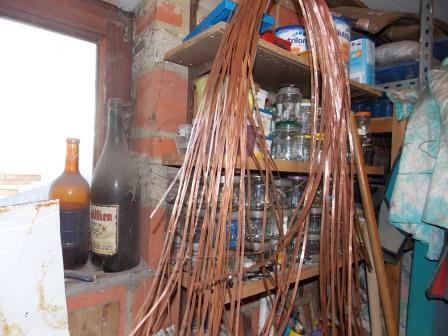 Do you put an oil resistant tape on both sides of your copper or just on one before you wind them? Do you get 24 turns? I only got 23. I'll take a picture of my winder and post it. 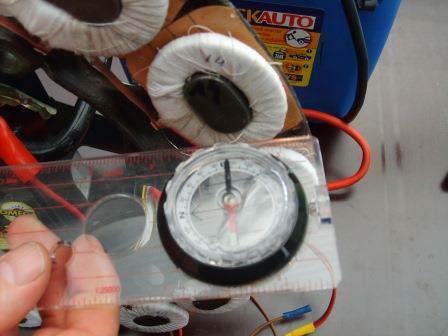 Your coil looks great, but its a lot of (fun) work. 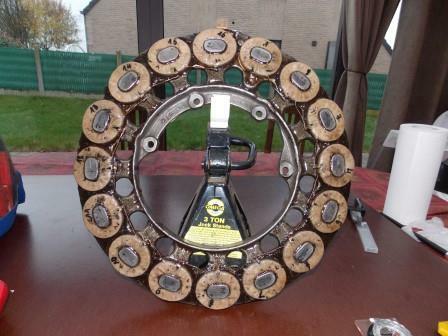 The reason why I tried to do it myself was first of all the shipping price for a coil ring to the USA and back to Belgium. It doubles the price. Second reason is as you said to do the job myself give me great satisfaction. 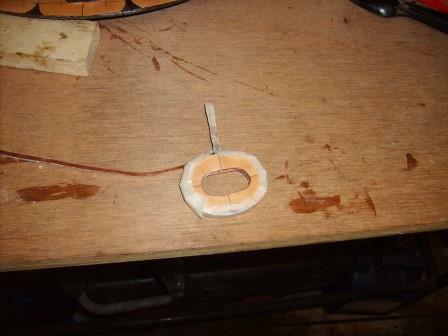 I know, as I do it myself, the $200.- for the rebuild don't pay the time spend to rebuild the ring. I use polyester resin , 2 or 3 coatings. On the copper strips I put an oil resistant tape on one side. I was told, original there were 25 winding on each coil. 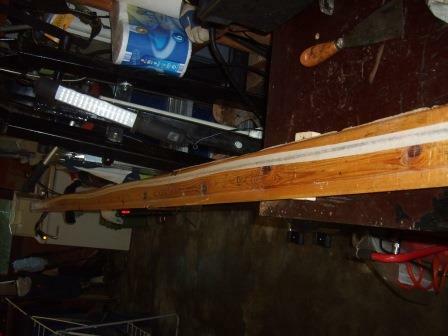 You need to clean up the strips so you loose some material and the best i got is 24 turns, sometimes only 23. 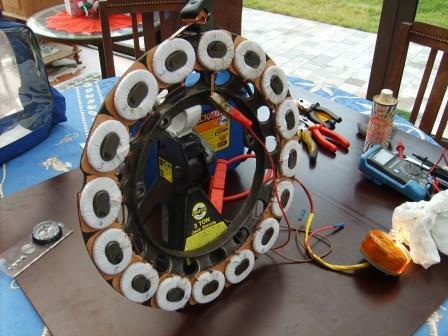 A good magneto setup will give you a 33V+ output at high speed with the full 400 winding. 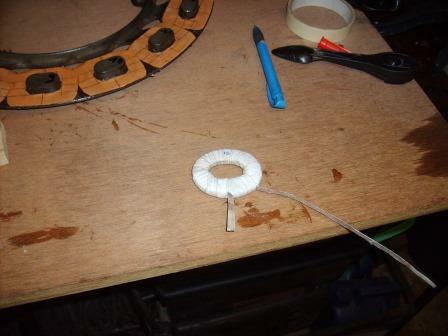 As you loose some winding the output will be 1 or 2V less. 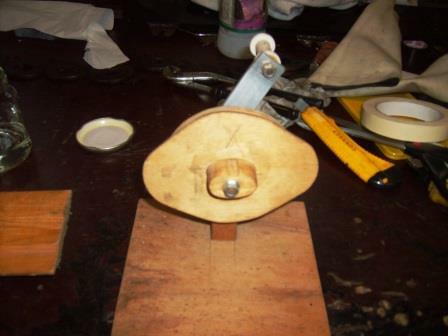 Till now all the coil ring I rebuild make the engines with good coils start up, cold, on magneto. 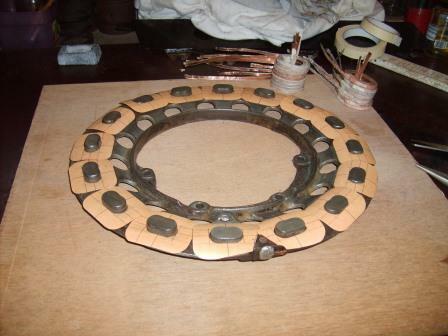 Now I am trying to rebuild a 1909-1911 double stack round coil ring with demountable cores. 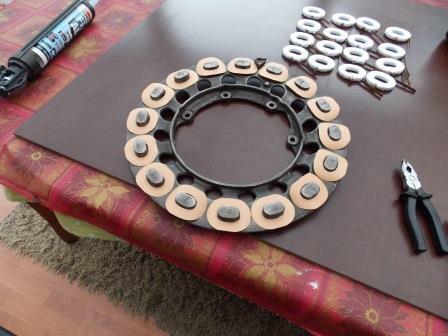 The most time taking job was to make the 80 gasket paper disks need to build the coils. 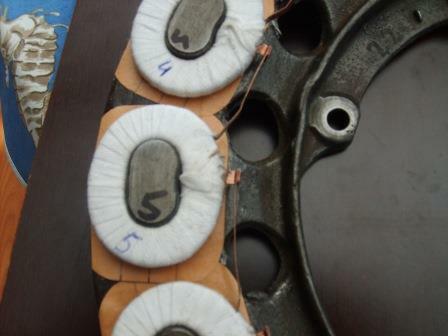 Each double coil takes 3 disks, one on top, one on the bottom and one between the two single coils. 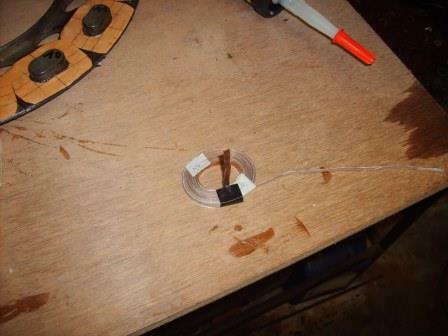 For assembly I will need one disk under the double coil and one under the head of the mushroom to insulate the double coil from the core. Just another person, saying WOW what a great job.